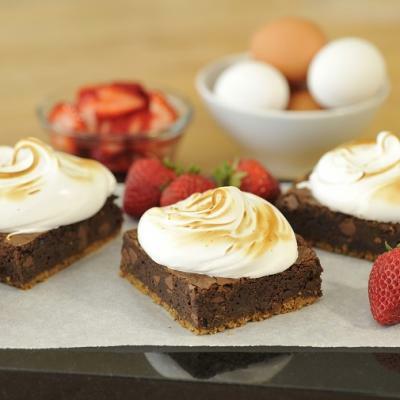 Sweet and sticky, this chocolate dessert is the perfect accompaniment to an after dinner coffee or tea. In the bowl of a food processor, combine flour, sugar and salt. Add butter and pulse until mixture resembles coarse meal. Add egg and continue pulsing until the dough starts to form clumps. Turn dough out onto work surface and knead until just combined, then wrap in plastic and refrigerate for an hour. Place chilled dough on a lightly floured work surface and roll into an 11-inch circle (28 cm), then carefully fit it into a tart pan with a removable bottom. Pat some of the overhanging dough back in around the edge to make the sides of the tart shell thicker than the bottom. Trim off excess pastry from edges of tart, then place tart in refrigerator until firm, about 30 minutes. 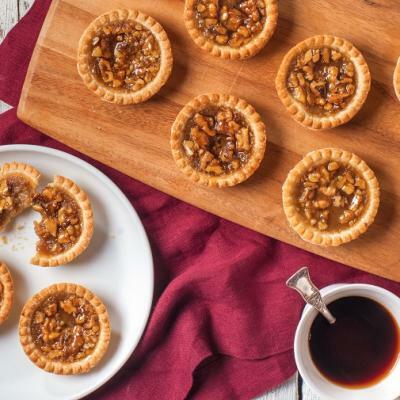 With the tines of a fork, prick bottom of chilled pastry tart at 1/2-inch intervals, line with parchment paper, and fill with pie weights or dried beans. Bake pastry shell in preheated 400°F (200°C) oven until the rim of the shell starts to turn golden, about 15 minutes, then removed weights and parchment, return shell to oven, and back until golden, about 10 minutes more. Transfer shell to a wire rack and let cool to room temperature. Meanwhile, make filling. In a medium saucepan set over medium heat add cream, bring to a gentle boil, then add chocolate and stir until melted. 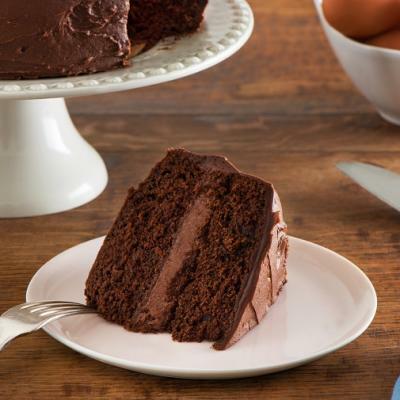 Remove pan from heat and whisk a little chocolate mixture into egg yolks, then whisk egg mixture into chocolate mixture along with vanilla and salt. Spoon filling into reserved tart shell and bake in a preheated 350°F (175°C) oven until set in the middle, about 30 minutes. 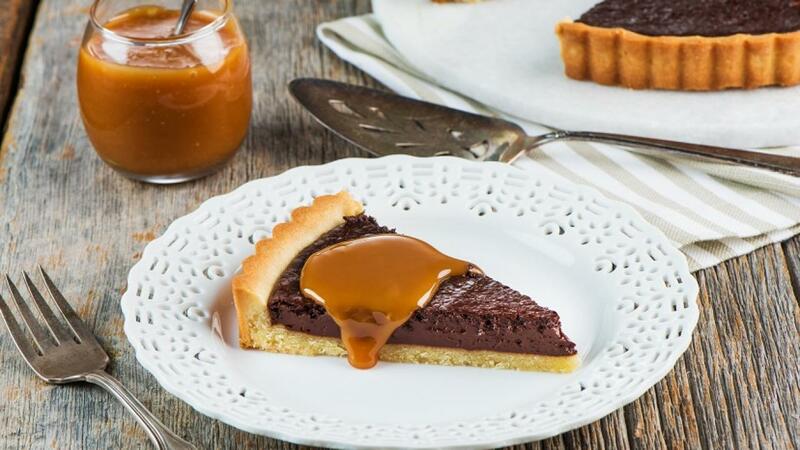 Let tart cool completely before slicing and serving with caramel sauce. In a small saucepan set over medium-high heat, stir together sugar, water and salt, bring to a boil, and cook until water has evaporated and sugar is light golden brown, about 8 minutes. Do not stir or shake pot. Remove pot from heat and carefully stir in butter and cream. Keep sauce warm until ready to serve.